I specialize in representing my clients in the purchase and sale of condominiums, attached homes, and single-family residences within the Juneau-Douglas area of Southeast Alaska. I’ve been serving my clients Real Estate needs since 2004 both in Juneau and Seattle. I value Integrity, Honesty, and Professionalism in my client relationships. I grew up in Arlington, Washington, about an hour north of Seattle. I am a 1998 graduate of the University of Washington School of Business. For fun I enjoy the many outdoor activities Juneau has to offer as well as remodeling our North Douglas home. I am an Accredited Buyer Representative. The Accredited Buyer Representative (ABR®) designation is the benchmark of excellence in buyer representation. This coveted designation is awarded to real estate practitioners by the Real Estate BUYER’S AGENT Council (REBAC) of the National Association of REALTORS® who meet the specified educational and practical experience criteria. Fixed mortgage rates rose slightly this week off their record lows. The year ends much like it began, with few people able to take advantage of the best rates in history. Freddie Mac said Thursday that the average on the 30-year home loan increased to 3.95 percent from 3.91 percent. Last week’s rate was the lowest average on records dating to the 1950s. The average on the 15-year fixed mortgage rose to 3.24 percent. That’s up from 3.21 percent, also a record low. Rates have been below 5 percent for all but two weeks in 2011. Even so, this year is shaping up to be one of the worst ever for home sales. Previously occupied homes are selling just slightly ahead of last year’s dismal pace. And new-home sales appear headed for their worst year on records going back half a century. Next year could be better. More than 5 percent of households said this month they plan to purchase a home within the next six months, according to the Conference Board. Builders are also hopeful that the low rates could boost sales next year. Low mortgage rates were cited as a key reason the National Association of Home Builders survey of builder sentiment rose in December to its highest level in more than a year. But so far, rates are having no major impact. Mortgage applications have fallen slightly in recent weeks, according to the Mortgage Bankers Association. High unemployment and scant wage gains have made it harder for many people to qualify for loans. Many Americans don’t want to sink money into a home that they fear could lose value over the next few years. The average fee for the 30-year loan was unchanged at 0.7; the average on the 15-year fixed mortgage was unchanged at 0.8. For the five-year adjustable loan, the average rate rose to 2.88 percent from 2.85 percent. The average on the one-year adjustable loan ticked up to 2.78 percent from 2.77 percent. The average fees on the five- and one-year adjustable-rate loans were unchanged at 0.6. A local public insurance adjuster and the president of a home inspectors group allege that parts of property insurance laws passed this year and last hurt their industries and are unconstitutional. In a lawsuit filed this month in Miami-Dade County Circuit Court, Eduardo Rodriguez is suing the state over changes made by a a sweeping law this year that prevent public adjusters who represent state-backed Citizens Property Insurance policyholders from getting paid for their services until the insurer makes an offer. The law also limits what they can charge after that. Public adjusters are hired by policyholders to prepare, file or complete claims. The new law restricts fees for public adjusters representing Citizens policyholders to 10 percent over the original amount the insurer offered for a claim. Rodriguez, president of Expert Claims Adjusters in Miami, notes in the suit that the law doesn’t define an original offer but documents from Citizens imply it’s a written offer after the insurer has adjusted and investigated the claim. He said the time before that is critical because a policyholder may make decisions that affect how much money they’ll receive such as finding all the damages and preserving evidence. The same restriction doesn’t apply to private insurers’ policyholders: State law caps their public adjusters’ fees at 10 percent for hurricane claims made during the first year and 20 percent for all other claims. 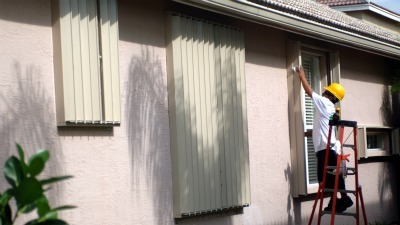 Steve Taylor, president of the Florida chapter of the American Society of Home Inspectors, wrote a letter to state officials recently saying changes that allow licensed contractors or engineering firms to hire unlicensed people to do inspections to verify hurricane insurance discounts but bar home inspection firms from doing the same violate unfair trade practice regulations. “The contractor and engineer business owner can hire a non-licensed individual at a much lower wage than the other business entities who can only hire licensed individuals…As a result, the contractor and engineer business owner can deliver the wind mitigation service to the consumer at a much lower fee than the other business entities, thus creating an unfair market advantage,” Taylor wrote to the Financial Services Commission, which is made up of the Cabinet. Regulators made changes to a form used to verify hurricane insurance discounts based on changes required by a 2010 law. Despite the letter from Taylor, the Florida Cabinet approved the new form this month. The state Supreme Court is expected to rule soon on a lawsuit alleging a 2009 law barring public adjusters from soliciting business right after a disaster violates free speech. Most Americans feel now is a good time to buy a home, but those who want to sell are having difficulty finding buyers at desired prices, causing seller sentiment to fall to record lows. The low opinion is causing a wide gap between homebuying and home selling that won’t narrow for at least the next five quarters, according to a new report by the Mortgage Bankers Association‘s Research Institute for Housing America. From 1992 to 2005, positive seller sentiment fluctuated between 40% and 60%, according to the report. Since 2005, sentiment has plummeted to 7.6%, even while homebuyer opinions remain high. Despite high unemployment, slow economic growth and problems plaguing the economy, nearly 80% of American households believe now is a good time to buy a home. Click on the RIHA-provided image below to see a 20-year comparison of homebuying and home-selling sentiment. Today’s pattern of homebuying sentiment looks similar to past recessions, but what is different is today’s historically low positive seller sentiment, according to Gary Engelhardt, Syracuse economics professor. The large overhang of mortgages past due or in foreclosure is a major factor for the difference. As market values have fallen, potential sellers have not adjusted their target selling prices downward fast enough to bring buyer and seller sentiment more in line with one another. Engelhardt said it is difficult to determine the main driver of the gap, but offers a few more possible explanations for the discrepancy. He says seller prices may be anchored to past market values such as the purchase price of the property or what a comparable property sold for recently, especially around the market peak. “If owners update these anchor prices infrequently, then a wide gap in buyer and seller sentiment would emerge in the face of sharp, prolonged declines in market values, such as those seen in the last few years,” Engelhardt says. He also cites the underwater homeowners who can’t or won’t adjust their selling prices to below that of their outstanding mortgage amount, as they would need to bring cash to the table to pay off the mortgage plus transactions costs. Currently, about 20% of all homeowners with mortgages nationally are underwater. In some particularly hard-hit markets, as many as half of all homeowners with mortgages are underwater. Those are the same places with the highest incidence of delinquent mortgages and foreclosures. Also, with large declines in market values, sellers now hold a highly leveraged option that pays off with any future increase in prices, meaning there may be increased value in waiting, either to initially list, or to keep, the property on the market. This could hold prices high enough to drive a substantial wedge between the existing buyer and seller. And a poor jobs market with limited mobility, a key driver of housing-market transactions, may exacerbate this. Analyst expect home prices to stabilize in 2012. The current lack of positive sentiment cuts across almost all demographic categories and regions. Positive seller sentiment is stronger among nonwhite households. Engelhardt says that over the next five quarters, positive homebuying sentiment is forecast to align with current and long-run average levels. In contrast, positive seller sentiment is projected to remain at current and historically low levels. This indicates that home-selling sentiment and, hence, market activity, will also remain sluggish in the near term. Lenders are increasingly becoming more accepting over short sales as they seek more solutions to help struggling home owners avoid foreclosure, according to a recent article at MSNBC.com. Short sales and foreclosures increased in 2010, but in 2011, short sales continued to climb even more (increasing 26,000 nationwide) while foreclosures dropped by 255,000, according to Hope Now data. Banks are realizing that a short sale is far more preferable than a foreclosure in most cases. For one, banks tend to make more money off of a short sale vs. foreclosure: The average price of a foreclosed home in the second quarter of 2011 was $164,217 compared to $192,129 for a short sale. Also, foreclosures tend to be more costlier to a lender in legal and administrative resources too. Neighborhoods also tend to benefit more from a short sale than a foreclosure because short sales tend to sell for less of a discount and, unlike a foreclosure, they don’t often sit vacant, which can make them prime targets for vandalism and depressing nearby property values, housing experts say. 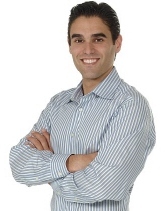 Michael is a full time realtor working in the Palm Beach County real estate market. His main focus is the residential market – single family homes, condominiums, and townhomes. Michael sells millions of dollars in real estate each year, including new homes and luxury waterfront apartments. He knows how to market your home to get it in front of potential buyers. Michael brings great experience, a strong work ethic, and top-notch customer service to his relationships with each of his clients, and he knows the Palm Beach County market inside and out. The number of seriously delinquent mortgages in the nation’s largest metropolitan areas slowed this year, according to a new study from the Urban Institute. But foreclosures remain a burden on the housing market, prompting the policy research group to call for a resolution to the housing crisis to ensure the foreclosure backlog is cleared out in a reasonable time period. The institute said the serious delinquency rate in the 100 largest metro areas slowed to 9.3% in June from 10.4% in December 2009, according to data from Foreclosure-Response.org. The Urban Institute said the serious delinquency rate is classified as the share of loans in foreclosure, plus all of those that are more than 90 days in arrears. This decline was driven by a drop in delinquent loans, which fell to 3.7% in June from 5.5% in December 2009. In hard-hit areas like Riverside and Stockton, Calif., the foreclosure rate declined significantly, dropping 1.9 percentage points and 1.7 percentage points from the peak two years ago. Florida, New York and Illinois experienced a different shift in the market with foreclosure rates climbing in cities throughout those states. In Tampa, the foreclosure rate jumped 2.8 percentage points, and in Chicago, it grew 2.3 percentage points. Those three states are judicial foreclosure states, which force a court to make a final decision before a property can leave the process. This leads to a growing backlog, the Urban Institute said. Mortgage originations are down in all of the 100 metro areas surveyed, as well. Some of the largest drops occurred in Buffalo, N.Y., where originations fell 39% this year, and Miami, where new home loans fell 82%, the report said. The rankings take into account such factors as crime stats, natural disasters, housing depreciation, foreclosures, air quality, environmental hazards, life expectancy, and car accidents. Prices in Seattle slipped an additional 1 percent in October from September, bringing the local index back down to where it was this spring, the Standard & Poor’s/Case-Shiller data show. Any momentum that the beleaguered Seattle housing market might have built up over the summer seems to have evaporated, according to a closely watched index of home prices. The Standard & Poor’s/Case-Shiller index, released Tuesday, showed that prices in Seattle slipped an additional 1 percent in October from September, bringing the local index back down to where it was this spring. The October decline was the third in a row for the Seattle index, which has dropped 6.2 percent from October 2010 to October 2011 and now stands close to its low point for the current slump. But Seattle wasn’t alone: Home prices fell in October in 19 of the 20 major cities tracked by the Case-Shiller index. And the October decline locally was a bit less than the 1.2 percent average drop. In part, the October declines reflected the typical fall slowdown after the peak buying season in summer. Prices in most cities declined for the second straight month; before that, they had risen for five consecutive months in at least half of the cities tracked. The Case-Shiller index covers half of all U.S. homes. It measures prices relative to those in January 2000 and creates a three-month moving average. The monthly data are not seasonally adjusted. Atlanta, Detroit and Minneapolis posted the biggest monthly declines in October. Prices in Atlanta and Las Vegas fell to their lowest points since the housing crisis began. Prices rose in Phoenix after three straight monthly declines. David M. Blitzer, chairman of S&P’s index committee, said steep price drops in cities such as Atlanta, Chicago, Cleveland, Detroit and Minneapolis were particularly worrisome because their gains earlier this season were so strong. Seattle’s monthly decline was in the middle of the pack, but it’s year-over-year decline was the fourth-biggest among the 20 cities covered by the Case-Shiller index. Americans are reluctant to purchase a home more than two years after the recession officially ended. High unemployment and weak job growth have deterred many would-be buyers. Even the lowest mortgage rates in history haven’t been enough to lift sales. Some people can’t qualify for loans or meet higher down-payment requirements. Many with good credit and stable jobs are holding off because they fear that prices will keep falling. Sales of previously occupied homes are barely ahead of 2008’s dismal figures — the worst in 13 years. And sales of new homes this year will likely be the worst since the government began keeping records a half century ago. Prices are also certain to fall further once banks resume millions of foreclosures. They have been delayed because of a yearlong government investigation into mortgage-lending practices. Home prices had stabilized in coastal cities over the past six months, helped by a rush of spring buyers and investors. But this year, prices in many cities, including Cleveland, Detroit, Las Vegas, Phoenix and Tampa, have reached their lowest points since the housing bust more than four years ago. Foreclosures and short sales — when a lender accepts less for a home than what is owed on a mortgage — are selling at an average discount of 20 percent.